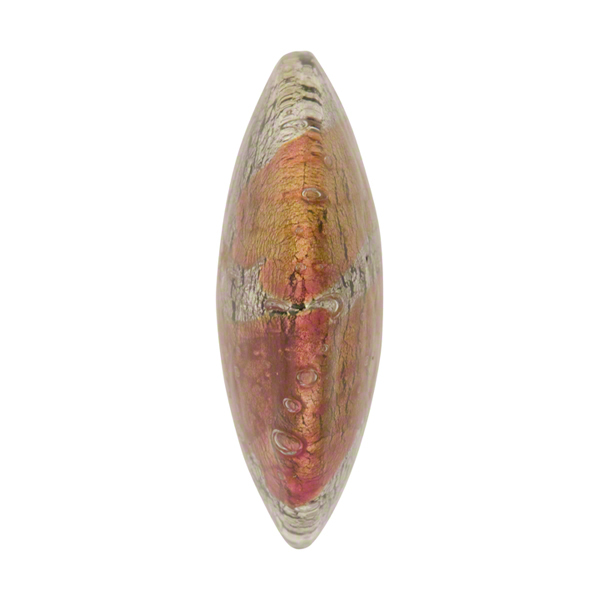 Fantastic Venetian Focal Bead with rich colors over white gold foil and aventurina. The base is a black Murano Glass. The exact shape and location of the colors is completely random with no to exactly alike. The shape is a large disc approximately 25mm in diameter and 13-14mm thick shaped like a lentil, so more puffy in the center. A nominal 1mm hole runs through the center. 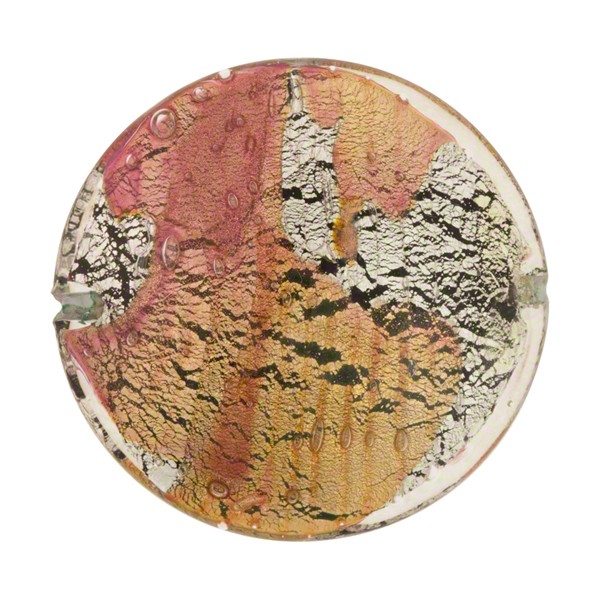 The color in this one is Rubino which is a rich shade of pink.